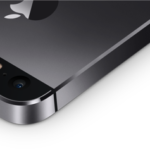 Apple’s in-store iPhone trade-in program has reached Canada, 9to5Mac reports. 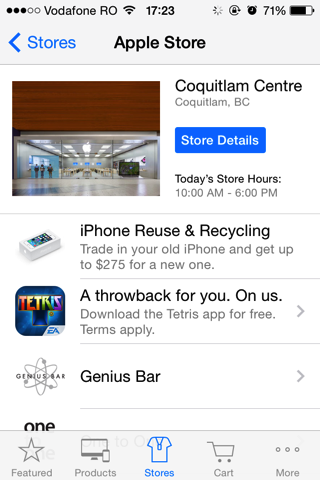 While there is no dedicated webpage on Apple’s Canadian site, the program is visible in the Apple Store iPhone app or on the Web, when looking for a store nearby. As reported earlier, the iPhone trade-in program launched in the US in August last year, and Apple quickly expanded it to the UK. Now finally, after nearly six months of waiting, the program has reached Canada. The program allows users to trade-in their old iPhone for a gift card, which can be used to buy a new handset. The maximum amount Apple offers for an old iPhone (3 GS or older) is $275. Those looking to recycle their old iPhone can open up the Apple Store app and locate a store nearby to apply for the gift card. We expect Apple to update its Canadian website very soon. Update 2: We’ve been told by a tipster some important details of Apple’s Reuse & Recycle iPhone trade-in program: Users need to activate their new iPhone with a carrier supported by Apple before leaving the store. This means customers buying iPhones that are unlocked or on Wind cannot trade in unless they decide to switch to a Canadian carrier. For example: A customer walks in with Rogers iPhone 4S and buys an iPhone 5S. To get credit, customer must activate a plan.